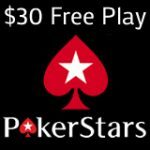 The Giant freeroll series ends on the 15th October, on the same day the $8 free sign-up bonus will be increased to the new 888 Poker free $88 bonus. 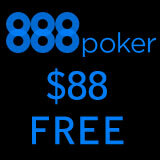 The new 888poker free sign-up bonus will be available to all new players from most countries and territories. 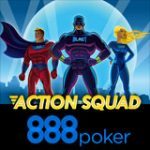 888 Poker free $88 bonus - Get free poker cash and tournament tickets for every new player signing up to 888poker. 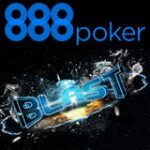 This is the perfect time to sign-up to 888poker if you haven't already, take advantage of this no deposit poker bonus from 888 Poker. 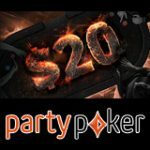 888poker have been offering new players free poker cash when signing up to the popular poker site, previously players would get $8 free when joining with no deposit required. The old sign-up bonus has been increased and replaced by the new $88 free bonus in all regions. New players will now get $8 free ($2 poker cash and $6 worth of $1 buy-in tournament tickets) instantly after a successful registration. Players can continue receiving the same bonus up to an additional 10 more times by earning 250 status points for each bonus adding up to a total of $88 in bonuses. This offer is available to players from the following countries: Australia, Austria, Belarus, Brazil, Canada, Cyprus, Czech Republic, Finland, Germany, Greece, Hungary, Ireland, Japan, Kuwait, Lebanon, Luxemburg, Malta, Netherlands, New Zealand, Norway, Poland, Portugal, Russia, Singapore, Slovenia, Sweden, Switzerland, Ukraine, Lithuania, Latvia, Kazakhstan, Argentina, Colombia, Peru, Mexico, Chile, Georgia, Serbia, Moldova, Armenia, Uzbekistan, Vietnam, Croatia, Macedonia, Slovakia, Philippines, Venezuela, Bangladesh, Aland Islands, Pakistan, Estonia, Mongolia, Thailand, Morocco and Tunisia. Players based in the UK get the 888 Poker free £12 bonus when signing up. Canadian players will get $88 free in cash when signing up from an iPad. 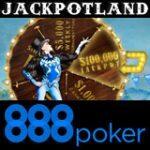 Players have 14 days from the sign-up date to claim and use their free 888poker bonus, unclaimed bonuses will expire thereafter. 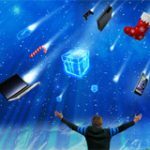 An extra $8 free bonus will be released with every 250 status points earned up to 10 times, players must also complete their entire $88 bonus within 90 days of registration. $2 in real money on 888poker. 6 tournament tickets worth $1. Pending $80 bonus - 10 bonuses for every 250 status points. Extra bonuses packages consisting of cash and tournament tickets will be granted within 48 hours of earning the required amount of status points. Free cash can only be used to play poker games on 888poker and not other gaming products like: 888casino, 888games, 888bingo or 888sports. 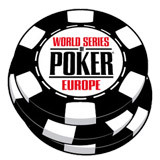 Tournament tickets can be accessed in the 888poker lobby by clicking on tournament tickets next to the cashier button.